How many of us have lost loved ones to some form of physical disability? – some form of debilitating disease? Well in the case of Keith Knight – he’s losing many. He, along with many of his friends, deal with a variation of muscular dystrophy. Knight, though not having dystrophy himself, suffers from a condition known as Amyoplasia Arthrogrypos. This condition caused him to be born with less muscle mass than he was supposed to be born with. The condition has worsened over time – causing his joints to stiffen and fuse. He has an intimate and close relation with those of the MDA community. A friend of his recently passed away due to complications with the disease. In honor of his friend’s passing it has inspired him to take a stand for the MDA community in one of the most positive ways I can ever dream up. This guy is truly a Legend in my book! He intends to play games for charity. 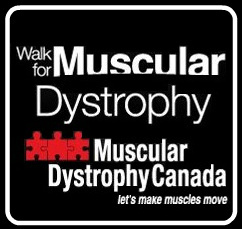 Knight has been streaming his play sessions of Guild Wars 2 and League of Legends in efforts to raise money for Walk for Muscular Dystrophy that took place in Canada on Sept. 22nd, 2012. Now certainly we’ve heard of people playing games to raise money for charity. I make mention of it all the time on here, but why is this special to me? – because of how Knight does what he does! You would never think that he could play like he does because of his stiff joints and lessened mobility, but he has found a way to make himself competitive despite his physical hardships. I’ll gladly try and embed the stream link on this article for you all to follow today and tomorrow. This guy is fantastic and an inspiring hero for people struggling with this disease. He may not be able to walk, but his message will reach millions. He uses his face for all of the inputs! He uses his chin to move the joysticks, and his nose and lips to input button presses. He has since moved on to PC gaming, as you can clearly see, but he still remains competitive. He places the mouse next to his cheek and uses a pen to provide for the button inputs! He’s remarkable and Keith, if you get a chance to read this, just know that I love what you’re doing man. You are truly an inspiration – not only to the MDA community – but to people around the world. I admire you for your strength and positive outlook in times of hardship and I can’t wait to show your video to everyone to get the word out. So, please, if you have a moment – stop by his Twitch.tv thread and watch him play. It’s pretty amazing to watch, and thank you to all who donated to this wonderful cause – Keith raised over $ 7,797.00! Keith – more power to you man! I noticed in the article that you’re an aspiring game designer: Let me know when you graduate man. I would love to work with you some day, as I’m sure many of my fellow readers would as well. You are truly someone special and meaningful to this world sir! Gotta Catch ‘Em All for Autism! They are using Twitch TV to broadcast the stream and it’ll be up through the 22nd. So if you’re a fan of Pokemon and you want to support research for autism – grab your DS or your Gameboy Color – relive the retro love of this epic marathon and get to catching ’em all and donate to this wonderful cause. You’ll be helping children of all ages, while watching one of the most EPIC Pokemon marathons I’ve ever seen. They’re still only half way done and they’ve got 3 days to go! Hey there world, now I know I’ve been touting E3 Impressions all over the place this week, BUT you guys know [ if you’re regular viewers ] my real mission for this blog isn’t just to talk about or develop games, but rather give back to my community via games. It’s been a while since I’ve found a reason to celebrate games as a charity – today I may have found the golden egg of ALL Humble Bundles! Yep – that’s right! This Humble Bundle supports the Electronic Frontier Foundation and Child’s Play. These charities help fund education and support providing video games to hospitals to provide kids with entertainment and fun. Now why am I so stoked about THIS Humble Bundle V? WELL, as a designer, there comes a time where I have found games which I personally feel that no designer should go without playing. The games which should be your guide to artsy, pop-culture, wonder hits. The games that, whether it be mechanics, storyline, or artwork, blew fellow designers and myself away with how amazing these games were for some reason or another. So without further adieu let’s pull back the curtain on what I believe to be the BIGGEST, and BEST Humble Bundle package yet! Oh, and by the way, Tim Schafer is in the trailer! Now I saw this game when it first came out as a tablet PC and iPhone game – and I was stunned by how cool it looked. It’s retro artistic vibe, with it’s text based dialogue, and it’s almost Zelda like adventure blew me away, and made me want to get a iPhone so bad! I’m stoked that it’s finally coming to a platform where I can have access to it and play it first hand all the way through! The story, art, and gameplay mechanics are something to admire and watch! Here’s looking at you Tri-Force! While it may seem odd and sort of macabre to take part in this death-defying dream puzzler, Limbo is hands down one of my favorite indie games. Each puzzle is super challenging and it keeps you invested with the emotion you feel for your little digital friend as he makes this journey. Produced by a company called Play Dead Studios [ fitting name ] it’s definitely one of the must see games on this list. One small step for man… one giant leap for a boy. Well, if this wasn’t the icing on the delicious cake that is this Humble Bundle V. Everyone should know by now that I’m sort of in love with a company called Double Fine Productions. I’m kind of infatuated with them and have been a long time fan of their work. Tim Schafer is like an icon in this industry to me, and one of the main reasons he’s had such an impact on my gaming life is because of THIS game! Thanks Mr. Schafer. Thank you and your team for building such a memorable game. This is one of the newest editions to the indie house of lovely games. You play as well, a lone survivor, in a pixelated platforming world. Evade pixel zombies, collect loot and resources, and do your best to survive this horrible fate – or you know? Die trying. One man. Many zombies. All Pixels. Well, how to describe this one? Oh yeah! Take a sprinkle of Prince of Persia [ the time altering ] and then add in some crazy puzzle mechanics that take my breathe away, and THEN compile it on one of the most beautifully retro, hand painted styles of art and graphics I’ve seen on an indie game and you’d have Braid. Enough said – for now. What do you get when you give a meat wad a lover? – separate them by force, and then ask the meat wad to come rescue his meaty bride? Well you get Super Meat Boy, and it’s one of the most odd, interesting, and funny experiences I’ve had in a game before. The game is definitely challenging, but it’s well worth the challenge – because the designers put so much time, effort, and love into this game. There is no way you’ll walk away from this game without a big, meaty smile on your face! I’ll save you my ham-flavored princess! I just have to grind my way up the food chain! I would try to give folks a full run down of all of these games [ and I may later ], but I would be so excited that it would take me a page for each one. Think about this for one moment. You not only get the GAMES, but you also acquire their SOUNDTRACKS – and ALL of these amazingly historic games can be gathered up for less than $10 dollars!! Are you kidding me right now?! That’s like someone knocking on your door mid-June and saying “Merry Christmas stranger!” leaving you some of the most lavish gifts they can give and then just driving away! If you know nothing of these games, know this: Each of these games, in my personal opinion, contain an aspect of game design that I think EVERY designer should experience. Whether you’re a painter, a fashion designer, a game designer, or even a teacher – YOU SHOULD try these games. They’re emotional, challenging, and engaging stories that have captivated millions in the industry for one reason or another! What once were indie games nobody knew of, and few dared to explore, are some of the most cherished gems in gaming now. So, please, do yourself a favor and support a wonderful charity and grab these fantastic games while you still can. YOU HAVE 5 Days left! 5! Games are supported for PC, Mac, and Linux! Go now and get your HUMBLE BUNDLE V! Make the most of it! Let your indie gamer live! I always find it a charming experience when I can find games made from foreign countries that can make me smile. In this month’s case of The Humble Bundle – I think I’ve found a new love in a game design company. Now you all may have been around when I touched on Machinarium during my Point and Click Adventures post , and let’s just say if you liked that you’ll certainly love the package that the Humble “Botanicula” Debut gives you. Created by Czech Republic indie company Amanita Design these games are fantastic, whimsical, and will charm their way into your hearts with their simplistic, engaging, and emotionally heartwarming gameplay. The glorious thing about it all, is that you pay what YOU want for the Bundle – and your donations go to a wonderful cause – we’ve been through this routine before with past Humble Bundles if you’ve followed my blog. I’m telling you now they’re wonderful money-saving, cause caring little bundles and you should really check them out. So, now to try and examine each one, in short, to prove you get your money’s worth. In the newest release from Amanita Design, you play as a quirky little gang of misfit tree creatures [ one looks like a stick, the other an acorn or seed, one looks like a fruit, etc. ] and you must guide them about this fantastically artistic world to save their forest homeland from spider invaders. Does this sound fun yet? – well it should! The game has a sense of whimsical charm I haven’t seen in ages, and it’s point and click storybook humor and gameplay make it not only simple, but a game that can be enjoyed by players of all age groups. One small step for seeds - one giant leap for a forest. I really have nothing bad to say about this game, because it doesn’t have dialogue from what I’ve experienced, and if it’s anything like most Amanita Design games, they’ve taken into account deaf players and either added no necessity for sound, or some sort of written or picture instruction [ in Machinarium, they used picture instructions so I’m leaning on the same vein. ] The colors are vivid and the animations are child-like and gorgeous. The mechanics are easy enough via point and click mechanics – so if you’ve got a mouse, even those with limited mobility will be able to play this game. We're your friends! We're your friends! We're your friends till the bitter end! The color scheme is the only thing that scares me, not being color blind I don’t know how this will affect colorblind gamers, but there’s quite a few spots where I felt that the colors of the background and items tended to have similar color tones, and that may cause some issues, but the characters and backgrounds I feel are vivid enough to counteract that. If any color-blind gamer gives this game a shot, let me know your personal opinion. I would love to hear it from a person who’s had first hand experience. Overall though, the game is charming and can be played by practically anyone – I totally endorse it as a must see game. Some of you have probably already heard of my ringing endorsement of Machinarium, but in case you haven’t, please check out my post on Point and Click Adventures. If there ever was a game that I could honestly say had an almost Salvador Dali feel to it then it would have to be Samorost, but it’s sequel brethren Samorost 2 is no different. Now in Samorost 2 you play as a little man who’s dog has been kidnapped by alien invaders. They’ve taken your dog and now you must fly off to go on a grand quest to save him and find a way to return home. This basic and charming premise leads to one of the most heartwarming and light-hearted stories I’ve seen in ages. Excuse me, but umm - have you seen a dog about Mr. Aardvark? Now the games difficulty can become a bit tedious, as this point and click adventure game doesn’t hold your hand. You’re not told what does what, and you’re not told what items you can click on – so you’re sort of shooting in the dark, but I think that’s the joy of point and click adventure games. It’s a puzzle from the moment you walk into an environment. The game really has no dialogue, except for some sounds here and there, and so it can be played rather well by deaf gamers. The game is, once again, for all ages too. It provides a whimsical and exhilarating change of pace from the stereotypical game culture of FPS’s and MMO’s that we have floating around today. Oh Wise Big Head! Me and my pup want to go home! The color schemes are great, vibrant colors with distinct tones to separate one object from the other without being too offensive to the eyes. Samorost 2 is truly a treat, and I suggest anyone who loves any of these games today to seriously check it out. If you’re unsure still and you want to give the game a whirl you can try out the demo – or try out the full version of it’s predecessor Samorost. It’ll truly be a surrealist gaming experience that I feel you’ll cherish in your heart for a while. Now Kooky isn’t even a game, but rather, it breaks from the traditional design medium of Amanita Design by being a MOVIE. This movie has everything going for it, and while at first I was skeptical of having an indie game company design and produce an indie film, I was proven wrong with my foot in my mouth when I watched the trailer. If you personally loved the movie “Where The Wild Things Are” or have ever watched any Muppet/puppet based movie – you’ll probably love Kooky. Kooky is a tale about a little teddy bear who gets lost from his owner, and must travel across a forest in search of him. This basic principle has been done before, by many successful franchises [ in fact I’m pretty sure Winnie The Pooh was made off the idea of adventuring to find Christopher Robin ] but my point is this – this movie will captivate you. The movie is captivating, in my eyes, because of the use of materials and the use of Czech actors actually portraying the English speaking roles. The accents portrayed give a wonderful tone to the movie, and the puppets are gritty, odd, and out-of-this-world unique. If you’re looking for a completely bonkers, unusually artsy experience well then look no further than Patrick Smith of Vector Park and his odd-ball game of Windosill. The game look like it came out of a child’s nursery, if it was the nursery of a famous artist of course. My point is this game will be odd, I’m certain of it – but after playing the demo I’m completely intrigued. There are a couple of issues I have with the game that limit it’s accessibility, but overall it’s grand. The first would be the color tones. I’m in love with the artwork that Smith has portrayed, but the rooms often carry very similar color tones, and for color blind gamers that can make differentiating items difficult to determine. The other is that, because there is no instruction what so ever you’re tossed in blindly to finding out how to access new areas – what items do, etc. It’s a very odd game to say the least, but it’s a beautiful game and if you’re looking for something oddball to pass the time I’d definitely say you should be glad to pick this up. So there you have it folks! Four fantastically artistic indie games that are both simple to play and beautiful to look at, and one intriguing childhood whimsical film that I’m exceptionally excited about. You can grab all of these for less than 10 dollars currently and you’re donations are not going to waste either. You’ll be aiding the World Land Trust, an organization that works to promote conservation of our world’s natural rain forests. So please, if you’re in a gaming mood and in a giving mood – I suggest stopping over and checking out the Humble “Botanicula” Bundle. You’ll be glad you did. The Bundle is going to be running for 13 more days so get your button clicking fingers ready and pay what you want for a fantastic good time! Snuggle Truck is a quirky game from developers, Owlchemy Labs, which puts you in the driver seat of a flat bed truck driver who delivers – what else? Snuggly stuffed animals. The quirk here is that, instead of your basic 9 – 5 traditional commute, you’re driving your flat bed truck into swirling, winding and twisting race tracks. The cutest escape that's ever been attempted! The goal here is to try and keep your lovely little stuffed pets within your truck at all costs and get them to a zoo that will provide their cuddly bits with all the care they deserve. You earn points based on how many pets you kept within your truck by the end of the track. Developed by Semi Secret Software, Canabalt is reminiscent of a traditional jumper game. Your character starts running as soon as the game starts and your score is based off how far you can run across the rooftops. It’s a very basic game, but it’s so exhilarating tense and fun. It can be played online for free, but you get it in a package for your Humble Bundle! How cool is that? The game continues to get faster and faster and the music is cinematic and intense. The bonus with getting this Humble Bundle version of Canabalt is that it allows for 2 player multiplayer! Enjoy! Zen Bound 2 is the sequel to Zen Bound by Secret Exit and it’s a wonderfully peaceful puzzle game. You are given a statue, reminiscent of a particular object, and then are required to wrap a piece of rope around it. Everywhere the rope touches gets lit up with color and thus – the concept of Zen Bound 2 is born! Enjoy this tranquil puzzle game that is both casual and mind-bending all at the same time! How dare you invade my space? I shall bind you where you stand! Cogs is another grand puzzle game within this Humble Bundle. This sliding puzzle game from Lazy 8 Games gives us steampunk junkies a bit of a swooning factor. The game essentials are as follows: Slide the pieces of pipe around until all the pipes and cogs connect correctly, to allow the actual puzzle to spring to life. How cool is that? 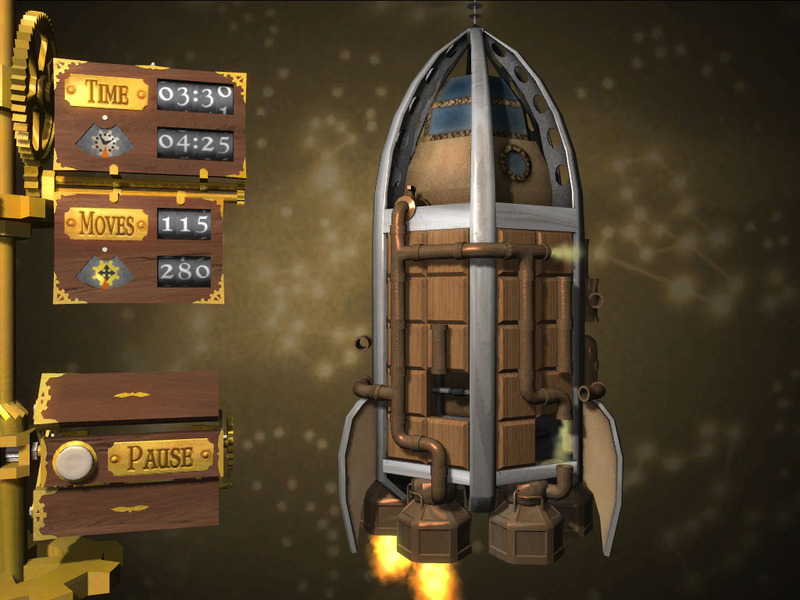 Here’s particular rocket puzzle to get your lips smacking! Rocket Man! Making sure my pipes are working' y'all! Oh look at how it's ma' inventory! Hot dog! This lil' Viking went to town, a' smashin' on a monster! I see nothing but positives folks! Happy gaming to all! Enjoy the Bundle of joy!